Not that long ago was I reviewing other KitchenAid garbage disposal models; it is now time to review another. This time, I’ve taken liberty to take a closer look at KitchenAid KCDS100T 1HP garbage disposal. Garbage Disposers are getting on popularity each year, no doubt about that. Not that they are an essential part of every American family, other countries outside US have come to this realization as well. No kitchen is complete without a proper garbage disposal unit. However, recently I’ve noticed a bigger increase in more powerful models, specifically ¾ HP and 1HP models. The most likely reason for this is that there are more and more medium-big families each year. But enough of theories, let’s get down right to KCDS100T and see what this particular model has to offer. This particular model is made entirely of stainless steel, which is very good. Stainless steel garbage disposals tend to last longer and are easier to clean up than models that use galvanized steel. It uses continuous feed, which means when the disposal is turned on it runs continuously without stopping. The power cord is not included. According to the manufacturer, the disposal is fully compatible with a septic system. The model uses a powerful 1 Horsepower motor that runs at 1725 rpm (rotation per minute). The dimensions of the model are 10 x 8.5 x 12.8 inches (25.4 x 21.6 x 32.5 cm). 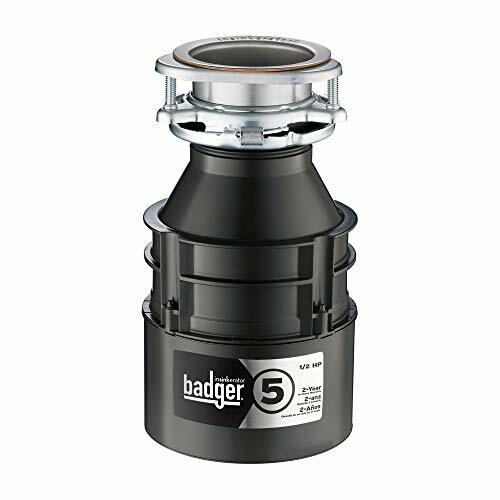 The disposal’s weight is 9 pounds (4.08 kg). KitchenAid offers 7-year manufacturer or authorized-reseller warranty. Let’s Test This Beast Out! The installation of the unit is quite easy. The package includes KCDS100T disposal, new sink drain, all the parts that helps you uninstall the old disposal and a new drain stopper. It is not a heavy disposal and the entire job took about 35 minutes. Also, the rubber baffle is removable. KitchenAid KCDS100T comes with Sound-Seal Plus technology, which promises quiet run even when grinding stingy or hard food. I’ve put this into test and indeed, the Sound-Seal Plus technology does the job well. The disposal is indeed quiet despite its powerful motor. What I noticed is that the sink inlet interface seems to be designed to decrease the noise level, although I’m not sure if this was the intention. Unfortunately, the manufacturer did not specify decibel level or normal and peak runs. What is a garbage disposal for? It grinds food to smaller pieces. Does KitchenAid KCDS100T the job? Simply put, yes, it does it well. I’ve put vegetables, pork, potatoes, chicken wings and other stuff down the grinding chamber and not only it was grinded well – it was grinded with a minimum noise level. But that would be kind of expectable from a 1 HP motor, right? One thing that also sets this model aside is the grinding technology system. Each time you start it; there is a one-second delay, before it starts grinding. 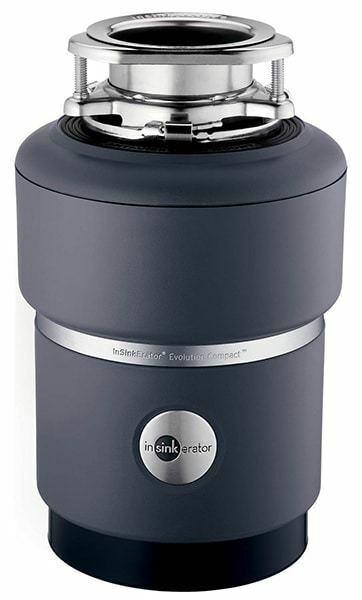 The delay is caused by the fact that each time you start the disposal it reverses grinding direction, thus limiting the chance of building up the food in the grinding chamber. As with every product, I need to point out pros and cons. 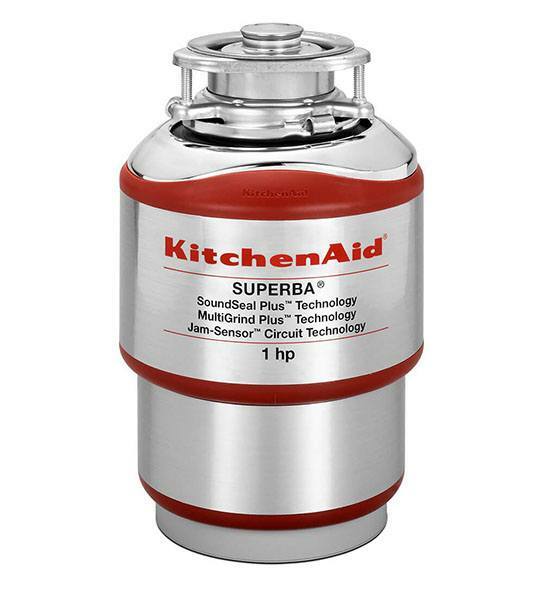 The KitchenAid KCDS100T garbage disposal unit is a great machine. 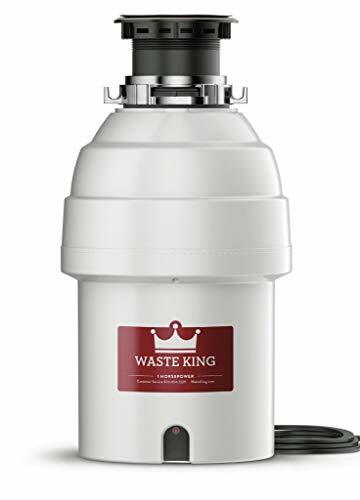 If you are in a need of a quality disposal with 1 HP powerful motor and a quiet run, then you will definitely not make a mistake with this model. Elegant, sturdy and powerful, KitchenAid certainly knows how to chisel a beast out of steel.